Lean QuickStart Guide (audiobook) provides listeners with a comprehensive overview. It takes the time to breakdown what could easily be a very confusing and complex concept into a simple to follow guide that even the most in-experienced novice can follow. The guide has leading steps that anyone can find useful, even a beginner to the business world. While the voice of the narrator that was used is a bit slow and monotone it is made up for by dynamic content. Lean QuickStart Guide also keeps your attention throu sharing well designed tools and techniques that can be used by all levels. 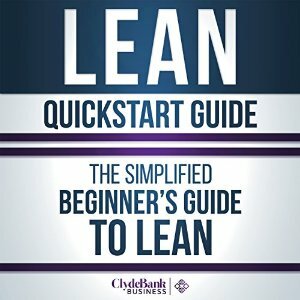 The Lean QuickStart Guide is a great resource that I would highly recommend! I received my copy of the Lean QuickStart Guide (audiobook) in exchange for sharing my opinions about the book. I would recommend this guide for up and comers looking to stay ahead of the curve.